The Rebel Sweetheart. : How to Find the Best King Size Mattress When On a Budget. How to Find the Best King Size Mattress When On a Budget. If you’ve ever gone mattress shopping, then you know just how tedious the process can be. It’s even hard for you to know where to start. Today’s market has different types of mattresses, and all these come with different price tags. Planning of going mattress shopping soon? Don’t worry! I’ve carefully put together some of the things that you’ll need to consider. They are pretty basic guidelines, but I know they’ll make you save that extra penny. Hopefully, in the end, you’ll get a perfect mattress for you and your partner. Finding the perfect mattress isn't as difficult as you might think. I discovered that as customers, we are often fooled by producers. Even though most of us may fail to admit it, we’ve gone through such an ordeal. But no more! When it comes to mattress shopping, I learned a valuable lesson. Here, the fanciest and expensive price tags don't always deliver on the level of comfort you may want. Actually, it’s not even about buying the product with the best technology and high-tech materials. Rather, it’s about getting the perfect king size model that matches your body types and tastes. I like looking at the product brands each time I go shopping. Certain companies are famous for many reasons. They are known for making comfortable, long-lasting and high-quality goods. Of course, the same applies to mattresses too! I realized that going through these choices helps you in narrowing down your budget. Besides, you still get to enjoy the product of your favorite brand. But be cautious, I know it’s disappointing to say this but even your highly trusted company can offer substandard yet highly priced products. But going through some mattress reviews on https://www.trymattress.com/best-king-size-mattress/ will help you get the most impressive product! The good thing is most of us have slept on different types of mattresses. In this case, we all know our preferred scale from their tenderness to their firmness. However, if you’ve not made up your mind clear on this issue, there’s an easy solution. Check your current mattress! If it folds up immediately you sleep on it; then you should buy the soft models. 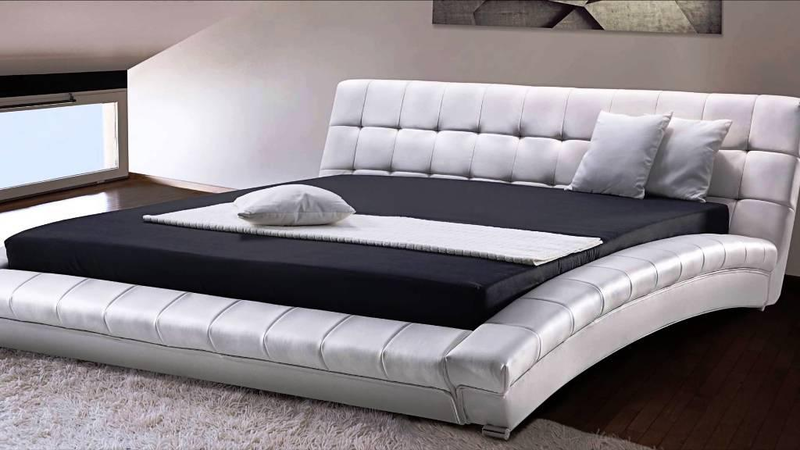 If it remains stiff for most of the time, then a firm mattress is your most suitable choice. I should also point out that a mattress should have the right amount of coziness around the hip region. This prevents your body from feeling rigid. As I wind up, I would like to leave you with a word of hope. You got this! All you’ll need to do is ignore the hype that comes with large mattress brands. Most of them like to advertise fancy handles and air vents. However, these are just mere distractions which even don’t affect your overall sleep. Remember to go for the mattress that also gives your body that extra comfort. I love the spring mattresses for their simple yet firm feel and of course, they are quite budget friendly! These are great tips. I want a king size bed but my budget has stopped me. So queen it has been. I need to use these tips and find me one! This is awesome information on how to find the best king size mattress. I know I need a new mattress and for me I need a soft one. The Memory Foam Solutions is what I am looking at. Thanks for sharing the information. Great tips! Will definitely keep these in mind next time I go on the hunt for a new mattress!